"The playsuit is so cute! I love the summery print, it's going to be perfect for spring/summer. The material is super soft and Henry looks so comfy in it." "This playsuit makes us smile! Covered in happy little sunshine faces, it's just too cute." 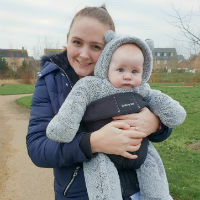 Great for easy nappy changes, the Zip Front Playsuit is a handy, popper-free design that makes changing babies a doddle. Simply zip down and up - there's no faffing to make sure you align the poppers correctly. 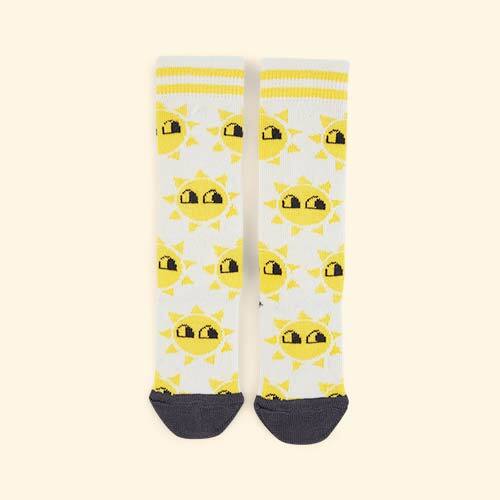 The graphic sunshine design is bright and eye-catching, perfect for happy babies to kick about in.